We will carry out heat loss calculations on your rooms to ensure the radiators are sufficient to heat those rooms, make sure your hot water supply is adequate for your needs and finally make sure the boiler is powerful enough to cope with those demands. Once the quote has been compiled and the work has been agreed one of our expert engineer’s will then carry out the installation with minimal fuss and to the highest standard’s. Looking for trustworthy heating engineers? 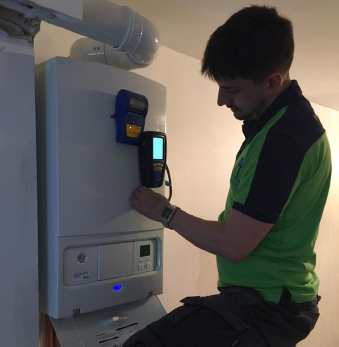 If you are happy with your existing heating and hot water set up but want to make a minor or major upgrade to the system why not get one of our engineers or surveyors to come out to find the best and most efficient way of doing it. We will carry out heat loss calculations on your rooms to ensure the radiators are sufficient to heat those rooms, make sure your hot water supply is adequate for your needs and finally make sure the boiler is powerful enough to cope with those demands. Henri-Taylor Heating Solutions takes gas safety seriously. All of our engineers are on the Gas Safe Register and will have their official identity card when you ask to see it.